I was commissioned to create a ‘living wall’ projection installation for a wedding held at Sunbeam Studios in London for a couple whose backgrounds and family span the entire world it would seem. The couple are UN workers based in Islamabad and bride is Afghan-English and grew up in Hong Kong and the Groom, Dutch. With this extremely fruitful cultural mix for my inspiration, the final design combined Islamic imagery from their wedding invitation (also commissioned for them) with a trellis of English flowers reflecting their table decoration as well as birds to signify the travels of both the couple and their international guests. The rig was a simple 6,000 Lumen Sanyo served by Q-Lab. 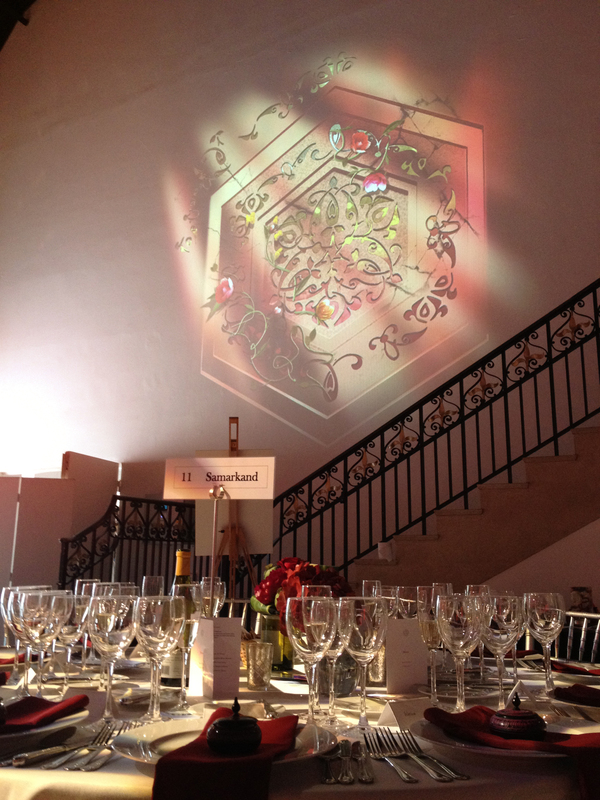 Lighting and projection equipment was supplied by Halo Lighting.